If you live in Maryland, Washington, D.C., or Northern Virginia and need a comedy children’s puppet / magic show, your search is over. Here at last is a fun-filled attraction that truly captures the wonder and pure imagination of childhood. Founded in 1897, Horn's Punch & Judy Show is America's oldest and most unique children's entertainment experience. Now in its third generation, Professor Horn continues this legacy with his clever comedy magic, novelty routines and his laugh-out-loud funny British Punch & Judy puppet show. 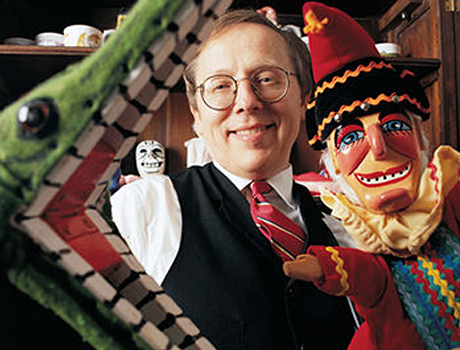 Professor Horn's celebrated Punch & Judy Show is known to incite gales of laughter from audiences of all ages. Whereas children adore the amazing feats of legerdemain, slapstick comedy and variety entertainments, parents can't resist the nostalgic excitement this quintessential puppet show conjures up from their own childhoods. To schedule your event, just call 410-638-6114 or email info@hornspunch.com.